Nestled in a bucolic valley, a mile southwest of Hammondsport, is the Pleasant Valley Wine Company, home of the world-famous Great Western Winery Visitor Center. 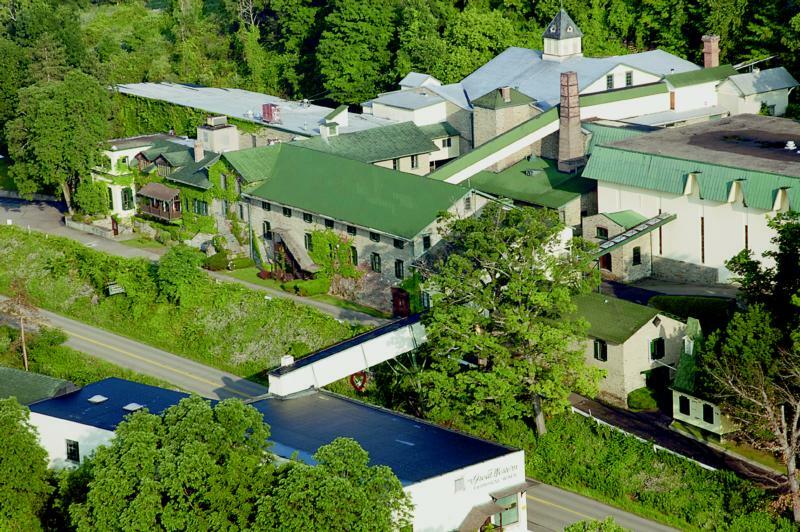 Established in 1860, the winery proudly displays the designation U.S. Bonded Winery No.1 and has eight remarkable stone buildings listed on the National Register of Historic Places. The winery retains the original integrity of an old-world winery with caves carved deep into the valley's hillside; it's an architectural materpiece nestled in the heart of the spectacular Finger Lakes Region of New York State. Photo - interior of visitor centerThe Great Western Winery Visitor Center is the most comprehensive center of its kind in the world; it's fun for the entire family and a great learning experience.